If you’re reading this then you've decided to expand your practice by adding elder law. Or perhaps you’ve already gotten into elder law but you’ve struggled when it comes to attracting new clients and growing your practice. In either case, you’ve made a wise choice in entering one of the most lucrative and personally rewarding segments of law. There’s no question opportunity abounds in this practice area. After all, nearly 15 percent of the American population is comprised of adults ages 65 and over, according to a 2016 report published by the U.S. Department of Health and Human Services’ Administration. Today, approximately one in seven people is an elder, and this population is projected to reach 98 million by 2060. The fact is, there’s never been a better time to become an elder law attorney. 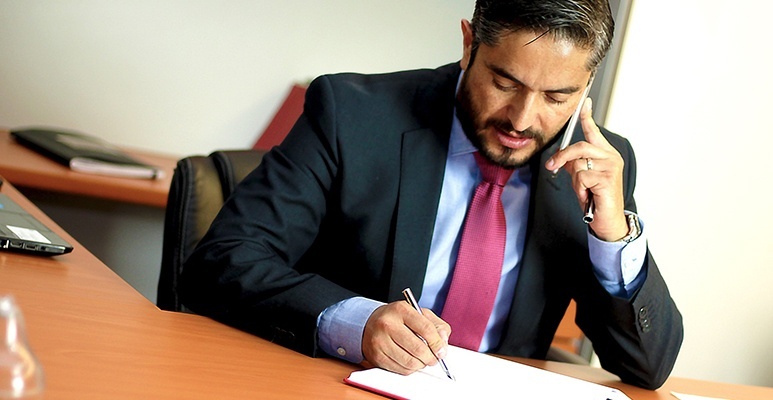 While deciding to become an elder law attorney is the first step to a lucrative and personally rewarding legal career, growing your practice can feel daunting. After all, you went to school to master law, not marketing and management. We understand that, and that’s why we’ve put together this guide, in which we’ll outline the foundational elements you need for your practice to excel. From marketing your services, to handling your first elder law client consultation and beyond — we can help every step of the way. We want to help you navigate the best strategies for elder law so you can gain new clients, retain existing clients, and become a savvier marketer that understands how to speak your client's language. With this knowledge you can ultimately grow your bottom line through the rewarding and lucrative practice of elder law. 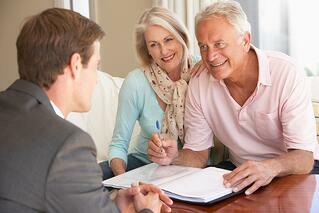 As an elder law attorney, you play an important role in the lives of your clients. They’ll look to you to help them manage their estate, which is essentially the culmination of all of their life’s accomplishments. Your clients will rely on you for advice on business assets, family inheritances, Social Security and Medicare benefits, advance directives, and more. You’ll be much more than a legal document preparer, and you’ll do more than provide legal expertise. Ultimately, you’ll become your clients’ trusted advisor and confidant as you counsel them on some of the most important decisions of their lives. By nurturing these client relationships you’ll reap the benefits of a personally and financially rewarding practice that grows based on the quality of service you provide. And as your practice grows, you will gain the knowledge and expertise to determine what clients are looking for, and how and where you can add the most value. 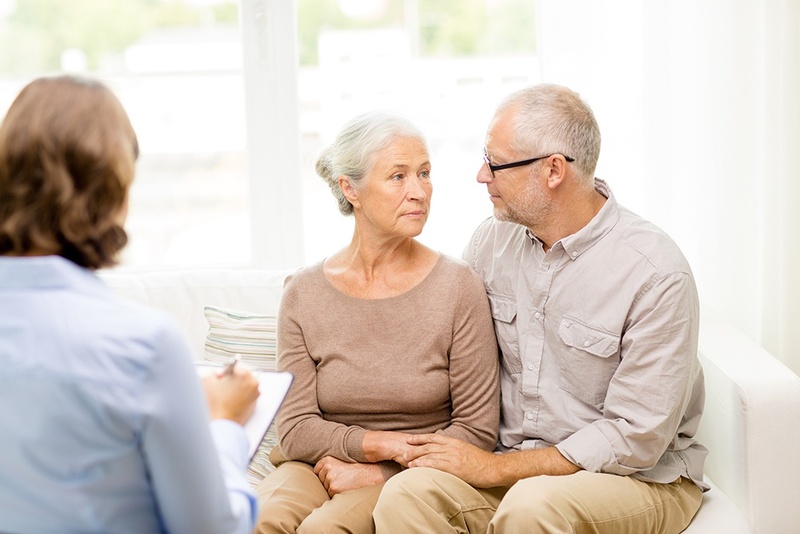 At the end of the day, your role will be to help clients that come to trust you achieve the best possible outcomes with the issues they must resolve in their later years of life. You can’t do any of the things mentioned above without clients, so let’s address some of the important steps you must take to attract — and keep — clients. Once you’ve decided which role or roles you’ll fill for your clients, the next step is getting them in the door. Marketing can seem like a foreign concept and you may not have the first clue about how to get clients in the door. First and foremost, you need to make sure you’re speaking the same language as your elder law clients. Failure to do so will result in missed opportunities and lost clients for new and transitioning elder law attorneys alike. You’ll need to become skilled at presenting complex legal issues in a straightforward manner that’s easy for your clients to digest. Potential and existing clients won’t find you genuine or relatable if you’re constantly talking over their heads with legal jargon. And you won’t just be dealing with the client, but likely one or more of their family members as well. You must ensure you’re effectively communicating with everyone involved. There are important and sensitive aspects to consider in marketing to this segment, and in working with clients once they’re in your office. Topics related to elder law are inherently uncomfortable, and dealing with them can be difficult for both clients and their loved ones. They’ll be looking to you to make this process a bit less intimidating. To do so, it’s important that you convey a genuine understanding of your clients reservations and fears before they ever set foot in your office for the initial consultation. Empathy is a major factor in both face-to-face meetings and in marketing yourself to clients you’ve never met. When selling yourself to potential clients, it’s important to remember that you’re usually not just dealing with the client one on one. In fact, your first touchpoint may be by way of a family member that reaches out seeking guidance on how to begin talking to their elderly loved one about the legal issues surrounding their assets and long-term care. There are many potential online venues where you could publish a piece of content on this topic that would help you get found. Marketing to customers in this way provides you with a unique opportunity to gain the trust of potential clients early on. To market your elder law services effectively and grow your practice, you need to show clients that you’re both sincere and knowledgeable. Again, this means avoiding too much legalese and talking over your clients’ heads. Instead, convey that you possess the know-how to educate your clients on all of their options and advise them on making the decision that is in their best interest. You’ll want to communicate to them that you keep up on the latest laws and issues through elder law CLE resources. Tactfully communicating that you have a breadth of knowledge shows your clients that you won’t simply apply a one-size-fits-all solution to their unique estate-planning needs. By sharing tools and resources to educate them about their options, you will further gain their trust and confidence by proving that you have their best interests at heart. While you may be able to do everything on your own in the beginning, you won’t succeed in growing your practice by operating as a one-person show. It’s crucial to assemble a team with the right mix of skill sets in order for your elder law practice to thrive. Don’t let mounting operational tasks steal time and focus from the real value you bring to the table — your legal expertise and dedication to client relationships. Hire someone to do administrative tasks that will free up your time to focus on working with, and for, your clients. Using your time to focus on the strengths you bring to the business will be the difference in retaining clients and attracting new ones. In addition to filling administrative roles, consider how more senior roles could positively impact your bottom line. For example, hiring a paralegal that specializes in Medicaid could add value to your firm and help you realize additional profit. The team you assemble doesn’t stop within the walls of your office either. Developing relationships with other professionals that serve the elder population in your area can provide you with resources and expertise you may lack. This network can also be a powerful marketing tool that helps you generate new client referrals. Focusing your elder law practice on just a few areas that complement your interests and skills can yield the best chance for success. Trying to do it all can lead to you doing nothing exceptionally well. That’s why it’s important to build that network of peers and professionals mentioned earlier and to invest in the tools and resources that can help you bridge any gaps where you may be lacking. Many elder law attorneys question ROI on investing in such resources, but this is a crucial area where you can’t afford to skimp. These resources will quickly pay dividends and you’ll likely see an immediate ROI by investing in tools that help you with legal document drafting, marketing plans, elder law CLE, access to peers, and other helpful resources. You can still charge the same amount for your services while these resources help you significantly reduce the amount of time it takes to complete the work for your clients. With the right tools in your arsenal you can greatly reduce the time it takes to complete tasks including document drafting and editing. When Clarke Wilcox, an attorney at Whatley Wilcox, PLLC in Irving, Texas, was tasked with growing his practice’s Medicaid planning and VA sections, he says he immediately sought out resources. That search led him to ElderCounsel, where he says he found a concentrated area of invaluable information and resources. “We are seven months in and my section alone in 2017 will outperform the other three sections of our firm — I’m convinced of that,” Wilcox said. Through an immersion camp he says he learned enough in a half a day to immediately begin selling elder law services to his firm’s clients. “I can lean in with a client and listen to their story and it doesn’t matter what they bring up I can legitimately and honestly say, I can help you with that,” he said. By putting the resources in place to ensure success, it won’t take long for the rubber to meet the road in terms of growing your elder law practice and realizing a healthy bottom line. By following the tips outlined in this article, you’ll soon be on your way to success. If you’d like to learn how ElderCounsel can help you succeed in growing your practice and attracting new clients, contact us today.